Court reporter shortages are reported across the country, and court reporting technology like the services provided by Court Scribes in Florida and other states may be a solution in some situations. South Dakota is one of the states that’s feeling the effects of the court reporter shortage, according to KELO of Keloland Media Group in Sioux Falls, South Dakota. Court reporting is one of several skilled trades that’s facing a shortage in South Dakota, along with plumbers and electricians, KELO reported. 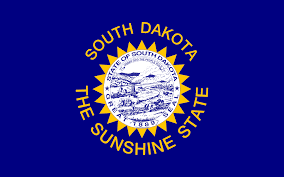 “We know we’re going to have positions open, and we need bodies to fill them,” Official Court Reporter Carla Dedula of South Dakota’s Unified Judicial System said. Dedula is one of just 50 court reporters in the system. Of the 50, almost half will be eligible to retire in the next 10 years, and there are not necessarily younger people coming up behind them to fill the empty positions. “Nationally there were 5,500 open positions last year,” Freelance Court Reporter Pat Beck told the TV station. He pointed out that in some states, courts are having to reschedule court cases because there aren’t enough reporters to make a record of what’s going on in the courtroom. There aren’t any brick and mortar programs in South Dakota any more where people can learn the skill of court reporting, meaning if people in the state are interested in pursuing the field, they have to get a degree online, which usually takes a couple of years. Advanced technology helps make trials easier in many ways. There are many benefits of court technology, the most important being that people who can’t attend the trial can view the transcript in real-time if they have an internet connection.